Size of this preview: 800 × 533 pixels. Other resolution: 4,752 × 3,168 pixels. 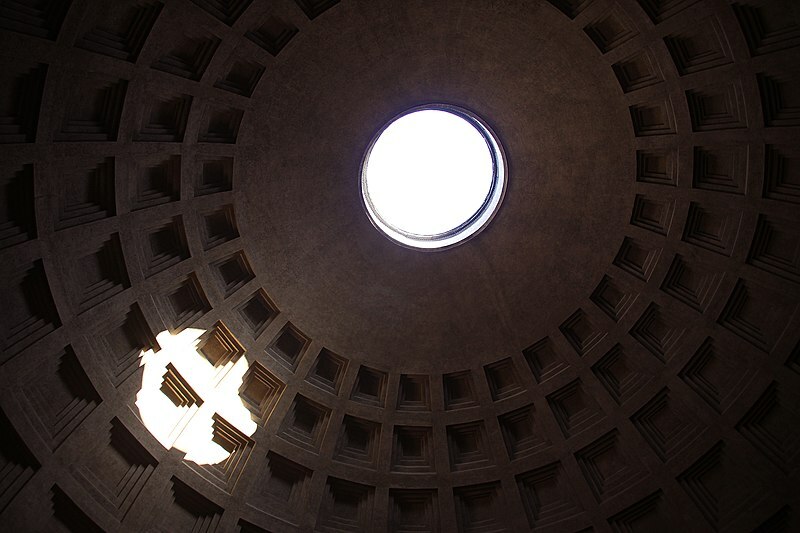 English: Oculus in ceiling of the Pantheon in Rome (Italy) with sunbeam falling through. Nederlands: Oculus in het plafond van het Pantheon in Rome (Italië) met zonnestraal. current 22:14, 14 September 2009 4,752 × 3,168 (8.8 MB) NormanB Sharpened a bit.